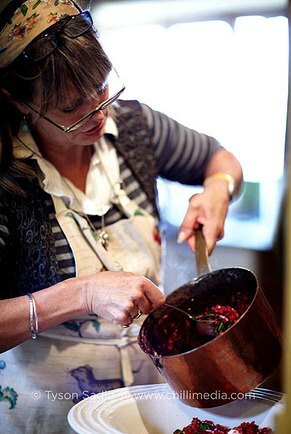 Roger Saul, champion of British spelt, has penned a sensational cookery book devoted to the wonder grain-of-the-moment. 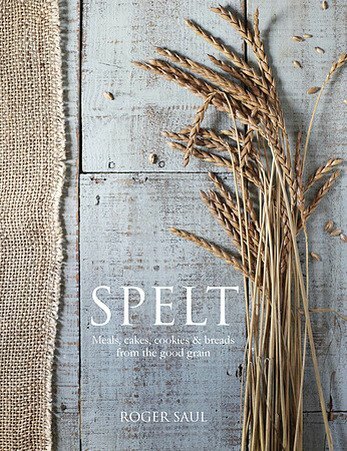 Simply called `Spelt' the book is full of mouth watering recipes to bring out the very best in the wholesome and delicious grain. The unique collection of homely recipes includes a host of ideas certain to become new family favourites, inspired by Roger's own most cherished family meals. Also featured is a selection of spelt dishes from friends of Sharpham Park including Mark Hix, Signe Johansen and Amanda Hamilton. The wide variety of tempting treats ranges from delicious Beetroot, Goat's Cheese, Hazelnut and Dill Salad and Moroccan-spiced Lamb 'Speltotto' to Summer Raspberry Cake and Spelt Cookies. Cooks will find ideas for all occasions from smart dinner party mains to quick weekday snacks. With a broader spectrum of nutrients than modern wheat, spelt is also easier to digest, has a lower glycaemic index and is known to aid the prevention and treatment of various ailments and conditions. "Roger Saul almost singlehandedly revived spelt. His book, Spelt, is inspiring for people like me who are a bit scared of unusual grains." Spelt really is a cook's best friend. It's great for making bread and it can also make pastry with a wonderful, crisp texture. The nutty flavour of spelt makes everything taste good, and the flour behaves in much the same way as wheat, if not better so you don't really have to learn any new techniques. I think it's always best to think of recipes as a guide, rather than a strict list of instructions to be rigidly adhered to, so it's important to practice using spelt in a variety of ways. It won't take long for you to get used to using it - and once you do, you'll never look back. "Sharpham Park's pearled spelt is the perfect addition to the cook's store cupboard. It's versatile and can be used instead of rice in a variety of dishes including soups, salads and casseroles. It's high in fibre and nutritious so I know that I'm giving my family a healthy as well as a tasty meal."